Gorsepaw-StonePride wrote: Gorsepaw quietly padded over to Dovefur. Dovefur wrote: "Ready to learn how to hunt?" Dovefur asked Gorsepaw. Dustpaw-StonePride wrote: Dustpaw puffed out his chest and padded over to Grayclaw. Grayclaw wrote: "Let's go work on some fighting skills." suggested Grayclaw as he touched noses with Dustpaw. Mothpaw-StonePride wrote: Mothpaw shakily padded over to Darkfoot. Darkfoot wrote: "Go pick out a nest before the rest of your littermates get there." suggested Darkfoot as she touched noses with Mothpaw. Speckleflower wrote: "Windpaw, Gorsepaw, Dustpaw, Mothpaw!" cheered Speckleflower for the pride's newest apprentices. Mistpoppy wrote: Mistpoppy padded into the StonePride camp, dragging a tapir in her jaws. She made her way into her den, sitting down to eat her catch. Skywing pricked up her ears and padded over to hear what Silentstar had to say. "We gather today to welcome two cubs into their lives as apprentices." continued Silentstar once the pride had gathered. "Graycub, you will be known as Graypaw. Shrewmouse, you will be mentor to Graypaw. Thorncub, you will be known as Thornpaw. Since you have shown an interest in healing, Mistpoppy will be your mentor." Graypaw blinked a few times, then padded over to Shrewmouse. "Go get to know your new denmates." Shrewmouse suggested to Graypaw. Thornpaw puffed out his chest and padded over to Mistpoppy. "Let's get you a nest settled and go over some basic remedies." suggested Mistpoppy as she touched noses with Thornpaw. "Graypaw, Thornpaw!" Graypaw, Thornpaw!" cheered Goldenpetal for the pride's newest apprentices. Twilightpool's chest rumbled as she licked the single cub at her side as he pressed against her belly for milk. 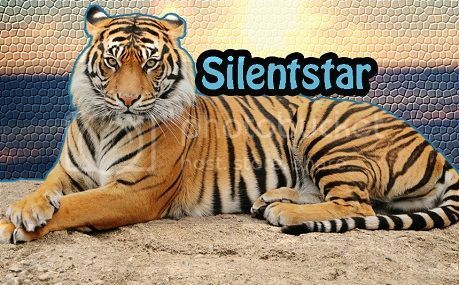 As she touched her nose to her cub, she sent a silent thanks to StarPride for a healthy cub. Rushcloud pricked up her ears and padded over to hear what Silentstar had to say. "We gather today to welcome five cubs into their lives as apprentices." continued Silentstar once the pride had gathered. "Goldencub, you will be known as Goldenpaw. Poppyleopard, you will be mentor to Goldenpaw. Littlecub, you will be known as Littlepaw. Wildheart, you will be mentor to Littlepaw. Morningcub, you will be known as Morningpaw. Tornfur, you will be mentor to Morningpaw. Patchcub, you will be known as Patchpaw. Twilightfall, you will be mentor to Patchpaw. Birdcub, you will be known as Birdpaw. Scorchtail, you will be mentor to Birdpaw." Goldenpaw puffed out his chest and padded over to Poppyleopard. "Let's go check out the territory." suggested Poppyleopard. Littlepaw puffed out his chest and padded over to Wildheart. "Ready to learn how to hunt?" asked Wildheart as she touched noses with Littlepaw. Morningpaw stuck his nose into the air and padded over to Tornfur. "Let's go work on some fighting moves." suggested Tornfur. Patchpaw puffed out his chest and padded over to Twilightfall. "Mind if we come with you?" Twilightfall called out to Poppyleopard. Birdpaw wiggled happily and padded quickly over to Scorchtail. "Go get to know your new denmates." suggested Scorchtail. "Goldenpaw, Littlepaw, Morningpaw, Patchpaw, Birdpaw!" cheered Swallowleap for the pride's newest apprentices. Mistpoppy padded out of her den, dragging the body of Gentletail in her jaws. She made her way to the center of the pride camp, arranging the deputy's body so the pride could grieve. Goldenpetal padded forward and pressed her nose into Gentletail's fur.